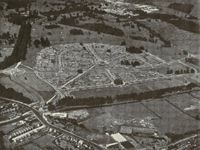 Aerial photographs of the Wollaton Park Estate probably taken in the late 1920s / early 1930s. 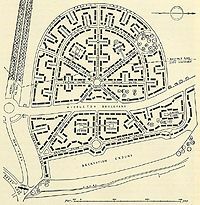 A map of the Wollaton Park Housing Estate as it looked in the early 1930s. This is a picture postcard produced by J. Spree who produced a lot of images of the Lenton area in the 1920s and 1930s. 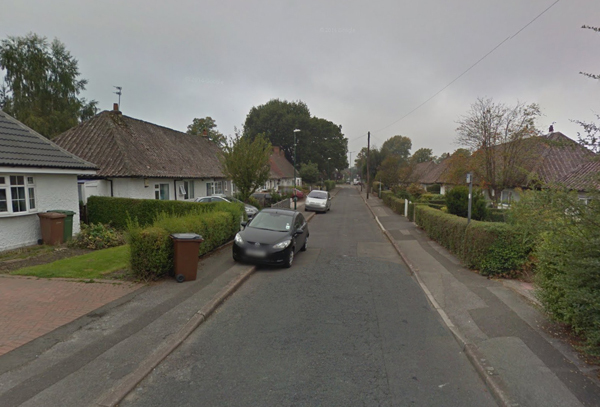 Although we have no precise date when it was published the fact that the privet hedges are still in a vestigial state suggests it was not long after the houses were first built in the late 1920s. The youth, no doubt wearing his school clothes, has donned a pair of roller skates especially for the photographer s benefit. 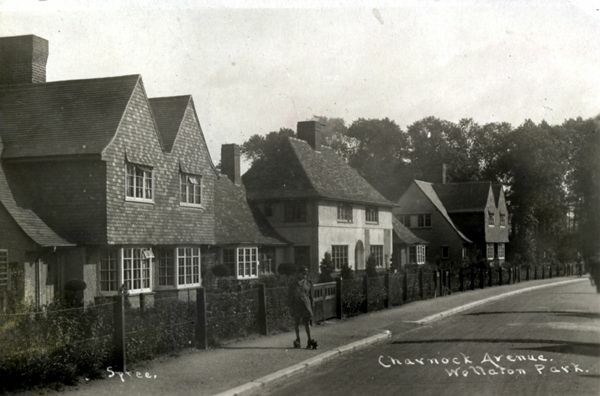 A 2009 shot of much the same scene as shown in the previous photograph, although the right-hand side also includes some of the houses that were built by private builders in the 1930s. The road ends in a cul-de-sac for motorists although pedestrians and those on bikes can still use the joint footpath that comes out by the side of Lenton Lodge. 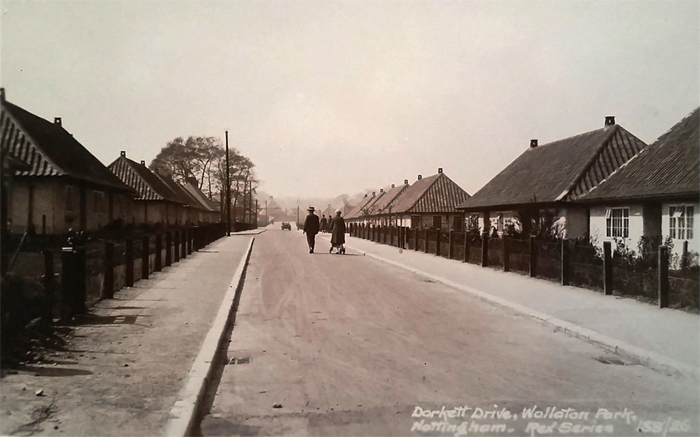 The picture postcard of Dorket Drive was published soon after the Wollaton Park estate was completed. Middleton Boulevard must pass across in the distance and you can just see in the far distance one of the two-storey buildings that make up Farndon Green. 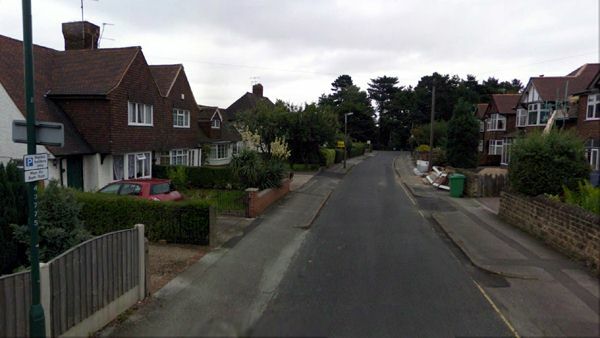 For this 2014 view of part of Dorket Drive we are standing in much the same position as the earlier photographer in the previous shot. The copse of trees on the far left is visible but it is no longer possible to see as far as Farndon Green. 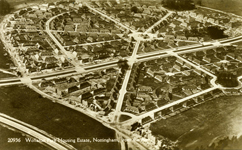 Do you have any historical information or other photographs of this road? If so, email us with the details or write to us.